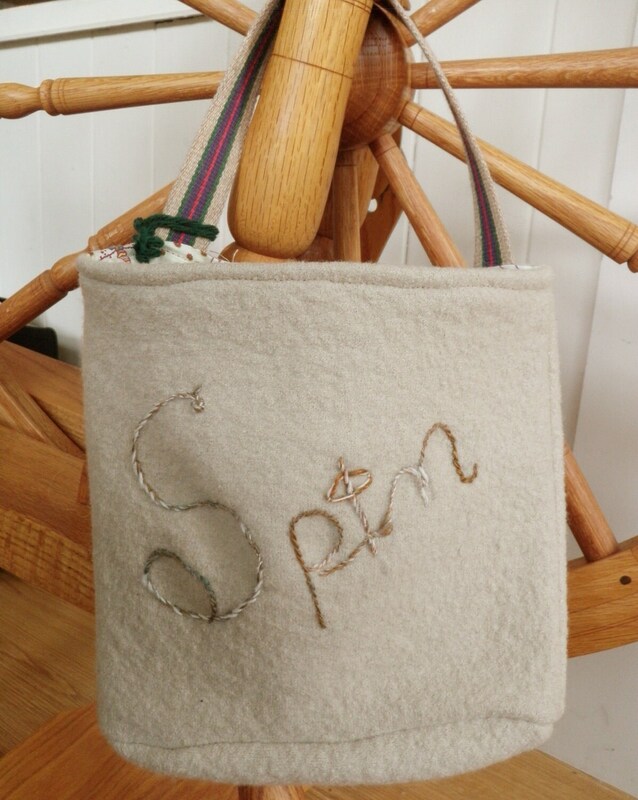 Keep your spinning tools handy with this taupe wheel bag with a needle felted "Spin" and a striped web handle. The wool bag is made of a felted, repurposed sweater. 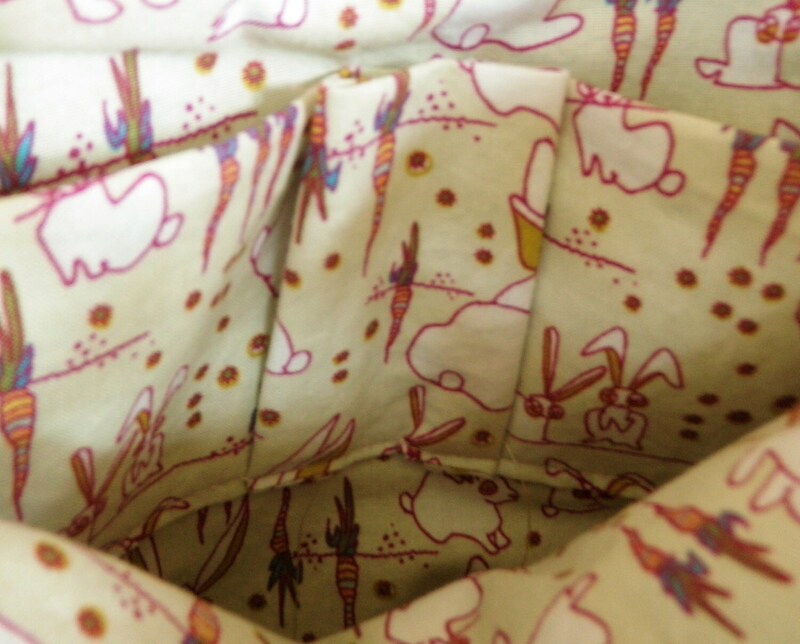 The cute rabbit print cotton lining has pockets to hold a small oil bottle and other miscellaneous items. Large enough to hold an extra bobbin, a lap towel, cell phone, and maybe a yummy snack (carrots?) ! Approximately 9X9" Useful for holding spindling, knitting and crocheting accessories, too. I love using materials that might otherwise seem to be at the end of their story. These sturdy wool bags have a few more chapters to go.